After being named Derek Webb's choice for the best album on Noisetrade in 2013 with "The Weight of Glory:Second Edition", Heath McNease is exploring all facets of his artistry with the release of his brand new album and the debut of his new, free independent film. 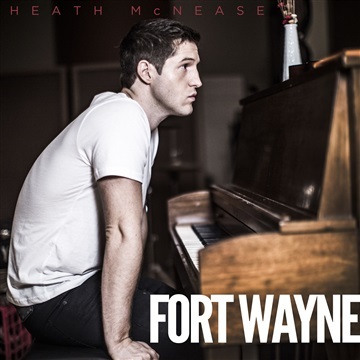 "Fort Wayne" is 17 tracks of folk/pop packed with raw lyricism, lush instrumentation, and atmospheric percussion that gives it a sound that falls somewhere between Bon Iver and Frank Ocean. The record serves as the soundtrack and backbone to his 43 minute film of the same name. McNease (who writes, directs, and produces the film) plays the protagonist, a down and out singer/songwriter stuck in the frozen midwestern town of Fort Wayne, Indiana. The album is premiering on Heath's youtube page, and can be viewed here as well. "Its my desire to become a fully functioning, self contained unit artistically. Being able to make my own film and to let my album serve as the soundtrack to it has been a dream come true," said McNease.